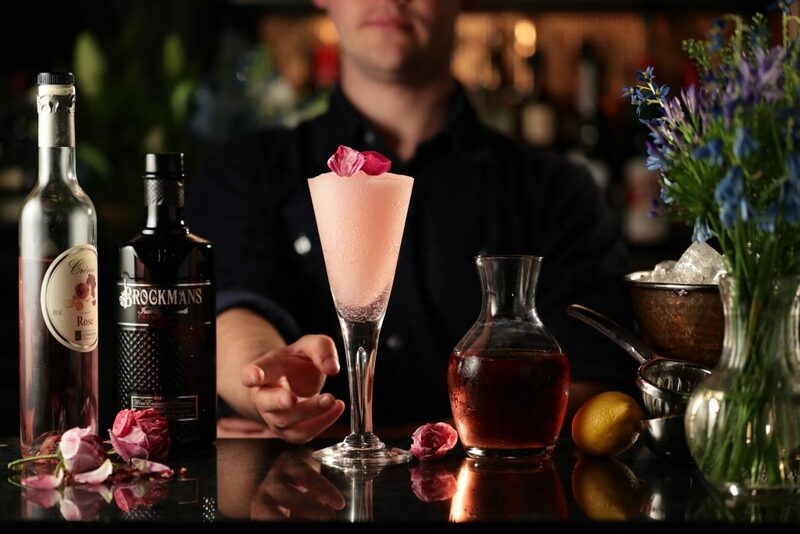 Coffee, chocolate and gin lovers… we have something for you. 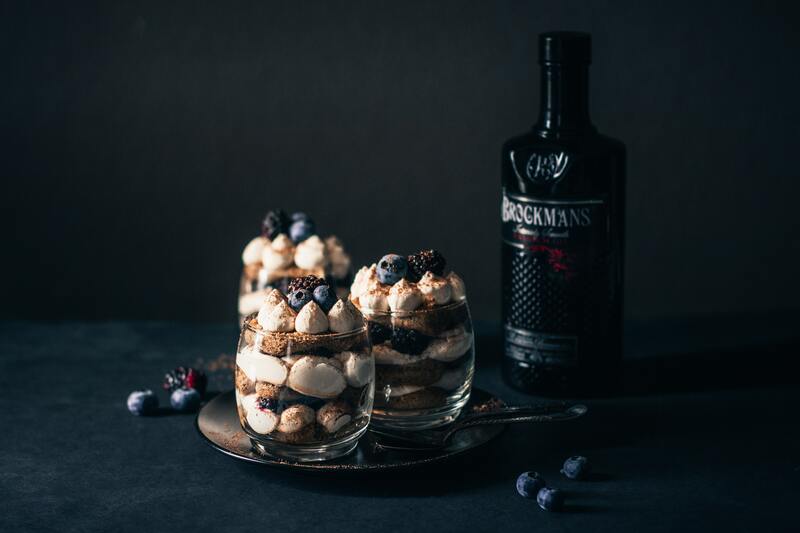 There is something very comforting about chocolate, coffee and gin — more so when they’re all together in a much beloved dessert: tiramisu. 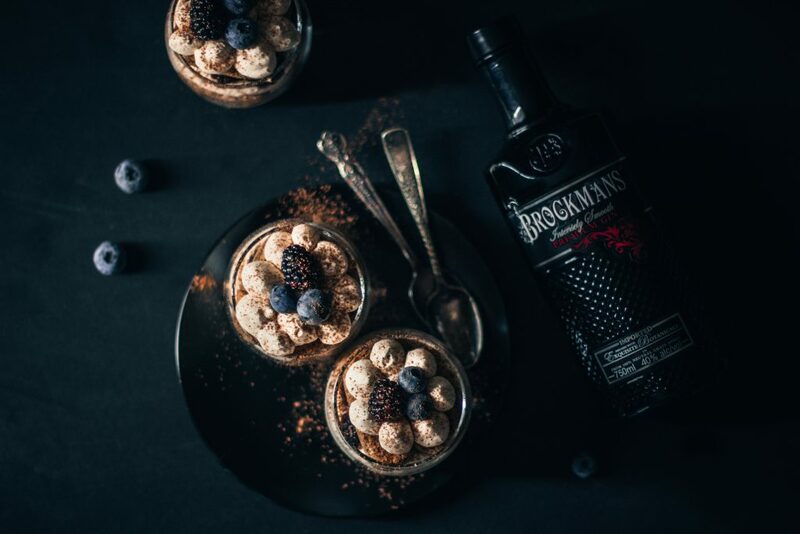 In a medium bowl stir in the hot brewed coffee, Brockmans Gin and sugar. Mix well until sugar has dissolved, set aside. In a stand mixer or hand mixer whip the mascarpone cheese along with heavy cream and powdered sugar (you may add more powdered sugar, if needed) until soft peaks form. Don’t overmix the mixture. Soak the lady fingers in a prepared coffee syrup and place them on the bottom of each glass. Feel free to break the cookies if they don’t fit. 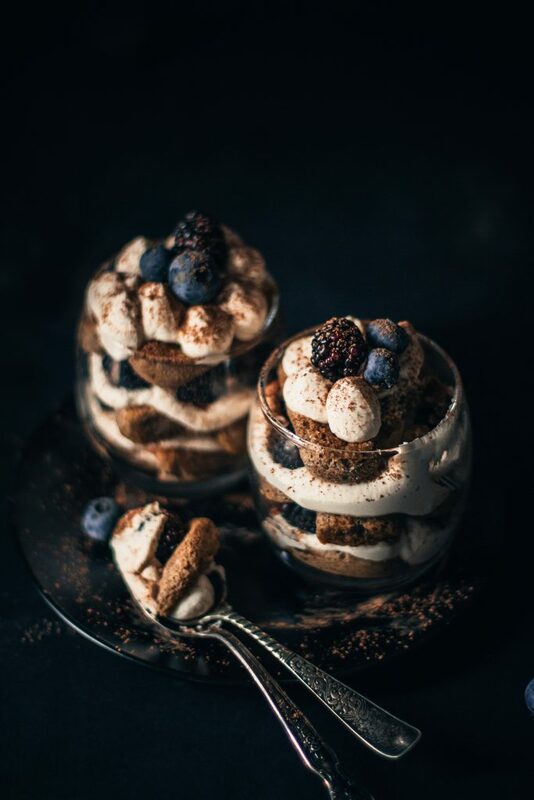 Spread the small amount of mascarpone cream, sprinkle some cocoa powder and place the berries on top. Repeat all the layers until you get to the top of the glass. Finish decorating the last layer with mascarpone, cocoa powder and a couple of berries. 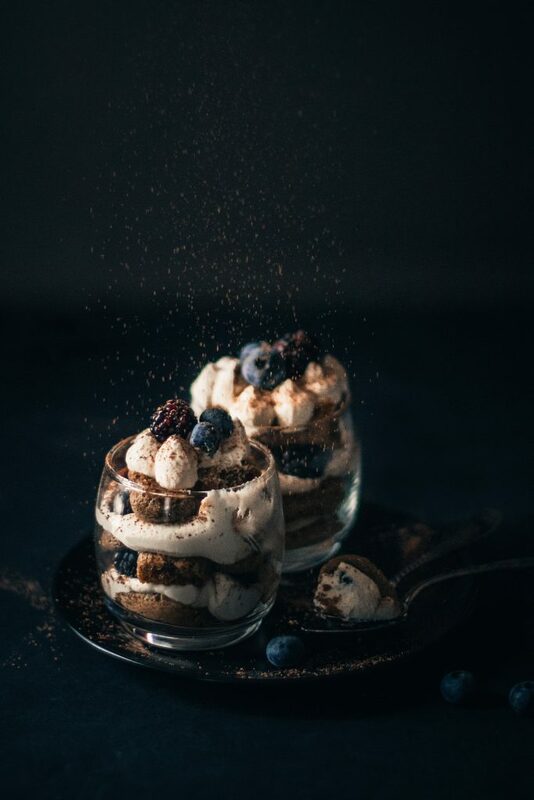 Place the tiramisu in the fridge for at least 2 hours before serving.